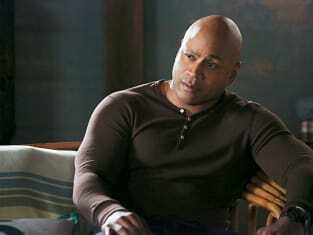 NCIS: Los Angeles took the team on a punishing journey this spring when Sam and Deeks were both tortured. Instead of moving on and pretending it didn't happen, the series showed both men continuing to deal with the psychological damage in "Impact." Sam and Deeks came out of the situation in extremely different outlooks. Sam had a strong support structure to help him get through the trauma with both his wife and Callen, while Deeks suffered all alone. The reactions of both men felt authentic to their characters given their background, the torture they suffered, and their current emotional support structures. Sam was trained to withstand torture which helped him both during the pain and with his recovery. It didn't stop the pain, but gave him the skills and mental fortitude to comprehend what happened. Sam had two people by his side that if anything were too supportive. Sam was irritated by their overbearing willingness to protect and help him. Whether it was getting out of doing the dishes or special Lakers' tickets, Sam didn't want the special treatment. It helped him to be back at work and moving on with normal activities. Deeks was handling the situation in almost the exact opposite way due to the circumstances surrounding him and what happened. He was never trained to withstand torture. He was a cop and an investigator and wasn't ever supposed to be in a situation to be tortured. He was at home in Los Angeles, not in a war zone. They were both put through painful situations, but the torture that Deeks withstood was much more invasive and physical. He had bodily damage that continued to cause him pain even after the torture ended. And, perhaps more important, he allowed himself to recognize and verbalize his feelings for Kensi. All of those events combined to leave him with an inability to heal. 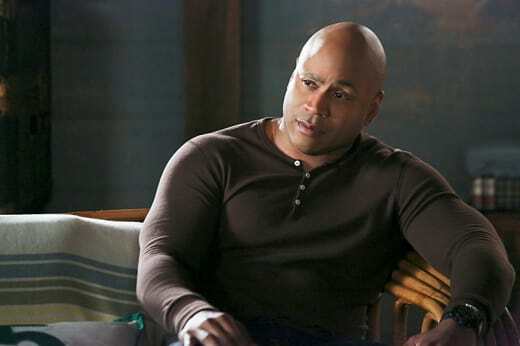 Deeks didn't have a wife waiting for him at home or kids to watch play. He couldn't even lean on his partner because that would have shown weakness in front of the woman he loves. He had no way out and without sleep he was gradually deteriorating instead of getting better. One way in which they are similar is that work could be a release. Once Deeks returns to work and returns to normalcy, he will begin to heal. Though, that requires that he get sleep. After the conversation with Nate, Deeks was finally in a position to let someone in to help him. Kensi showed up, brought his favorite foods and acted like a friend. Her presence provided Deeks with the security that he needed. And, he slept. Will they be able to continue to work together? Or, will they be forced apart due to their newly admitted emotional connection? It would be odd to see the partnerships switched around, but it could provide new opportunities for banter, as well as, challenges. Sam went from being disrespectful to Deeks to owing him everything. I'd love to see them be partners and learn to better work together. And, during the investigation into the plane crash, Callen and Kensi worked well together. It would make for a different dynamic on the show, but change can allow miraculous things to happen too. The highlight of the episode was watching the two men struggle with what happened to them. The case of the week involving the retired Admiral and the journalist wasn't all that interesting. It did provide for what could become a longer term investigation that could be intriguing. Lastly, Eric and the pants thing?!? It was funny for a second and then was annoying. If it's never mentioned again, I'd be perfectly fine with it. Do you want to see Deeks and Kensi back together as partners? Or should they be split up due to their emotional connection?